Have you ever dreamed of having the comfort of a full-size van with the cargo capacity of a short-bed truck? Have we got the vehicle for you! 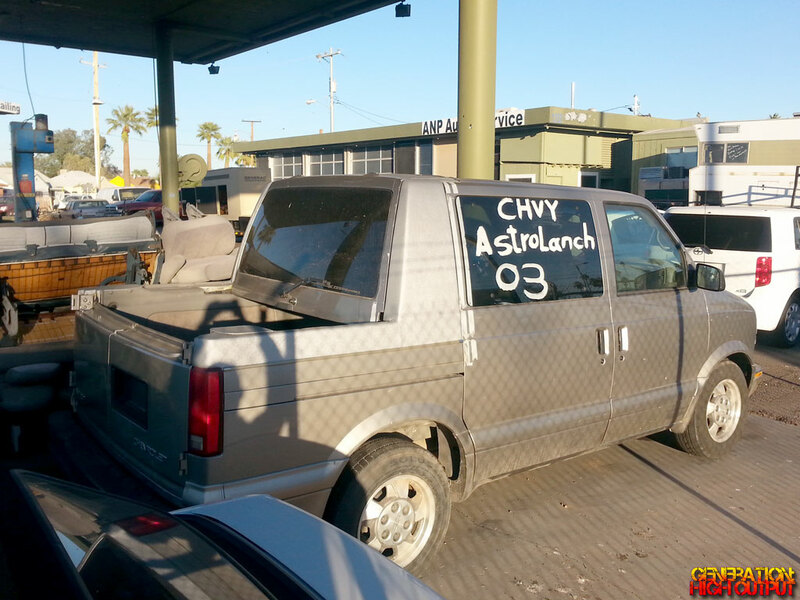 Meet the Chevrolet AstroLanche. This amazing vehicle began life as a run-of-the-mill 2003 Chevrolet Astro Van. At some point, it was converted to have a shortened pickup bed, similar to the Hummer H3T. The bed uses the Astro van’s “Dutch doors” as a tailgate, while the rear hatch has been moved forward to just behind the second row of seats. Below the rear glass, there appears to be nothing separating the bed from the passenger area – which is great for hauling lumber or perhaps a full-size ladder. 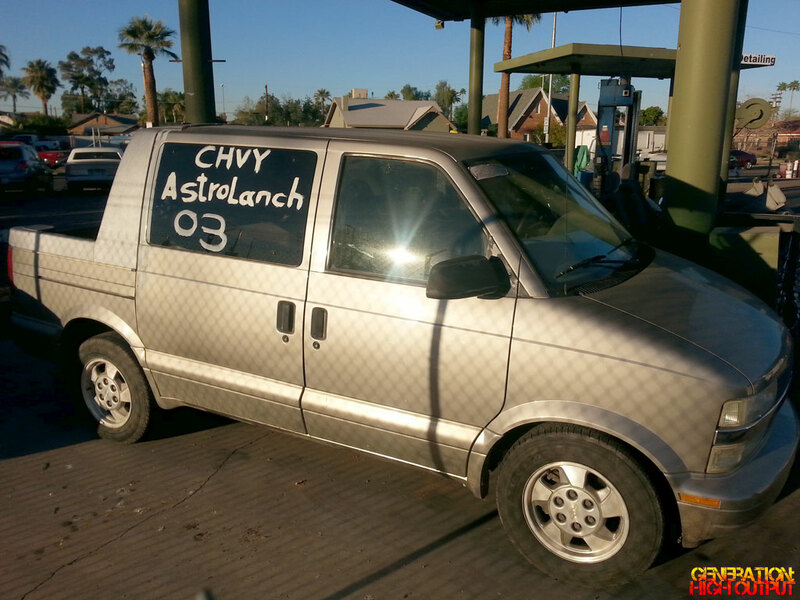 This entry was posted in Car Modifications, Curiosities and tagged Astrovan, Chevrolet, Custom Van by Trevor Freeman. Bookmark the permalink.